A veteran Orange County executive who ran the government’s Equal Employment Opportunity office is suing the county for gender discrimination and whistleblower retaliation because more powerful, male bureaucrats wanted her to help cover up widespread corruption. 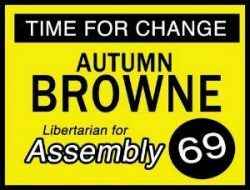 I got a call the other day, out of the blue, from a former elected official I had not heard from in quite awhile. She was upset about a post that fingered public affairs consultant Roger Faubel. But we eventually got to talking about Curt Pringle and she was amazed to find out that a lot of conservatives don’t like him. Why wouldn’t they like him, she wondered. Why indeed. When Cecilia Iglesias and Karina Onofre asked the Republican Party of Orange County’s Central Committee to endorse them this year, before the General Election, they were run through the wringer. Iglesias in particular was hammered because of her support for the Dream Act. Quirk-Silva beats Norby – but Agran loses to Choi! Stop the presses! Fullerton Mayor Sharon Quirk-Silva was losing when I went to bed last night but this morning the voting results say she won, barely, beating Chris Norby, in the 65th Assembly District. Amazing! It will be awhile before we can parse the numbers but you have to figure that more voters showed up in the general than in the primary election – and could it be that the Latino voters in the 65th actually voted? It sure looks like it. John Leos ended up in a distant third place in Anaheim’s Council races – another blow to the OCEA, which blew a load on this race. The winners were Republican Lucille Kring and corporate Democrat Jordan Brandman. The latter was the recipient of thousands of PAC dollars courtesy of Disney and the SOAR PAC. 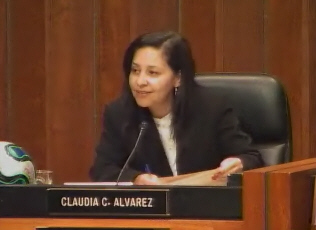 Remember when Santa Ana Council Member Carlos Bustamante went after his colleague, Santa Ana Mayor Pro Tem Claudia Alvarez, after she compared landlord and developer Irv Chases’s business practices to Adolf Hitler’s ethnic cleansing? Well, last week the Orange County Grand Jury found that Alvarez was right about Chase and his friends at Downtown, Inc. – in a report that slammed the Santa Ana PBID tax. And Bustamante? Well he is now rotting in jail after being arrested today on multiple felony and misdemeanor counts. When Bustamante raises bail he will have quite a few decisions to make – like hiring a lawyer, but eventually he will also have to write his formal letter of resignation. His time on the Santa Ana City Council is done.